In 2012, the Spokane Public Facilities District said it had to expand its Arena seating to meet larger NCAA facility requirements. As we have beaten to death, weeks after the tax election was held, the NCAA reduced the facility size requirements. The PFD kept this secret and expanded the facilities anyway. 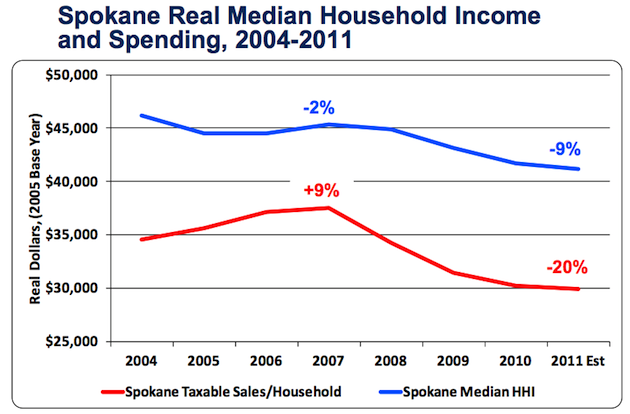 On Nov 20th, we showed the campaign claims of increasing jobs and visitors to Spokane are false. Attendance has been in decline for over a decade. Management must be replaced and a new Board of Directors installed. 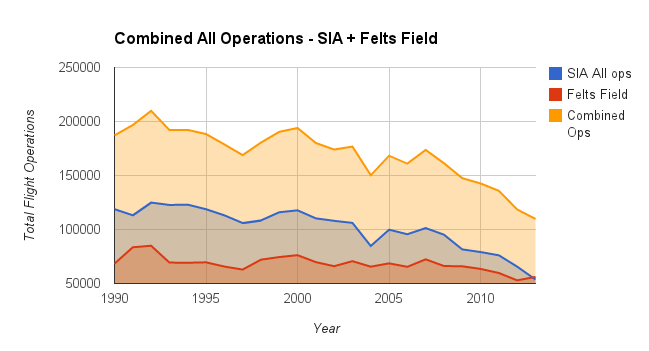 We have produced new charts that show the overall decline in the Spokane PFD usage by facility, below – the long term trend is clear. 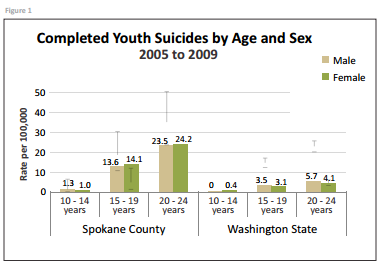 Data from the Spokane PFD and the Community Indicators of Spokane, the latter operated by the City of Spokane and Eastern Washington University. Total PFD attendance is sharply lower. 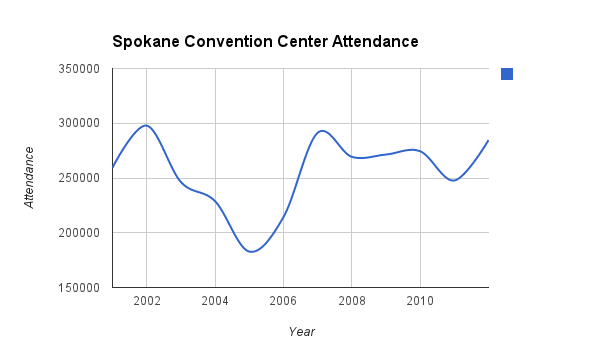 No attendance figures were available for the Convention Center in 1999 -2000- the sharp climb at the left of the chart is because of missing data. 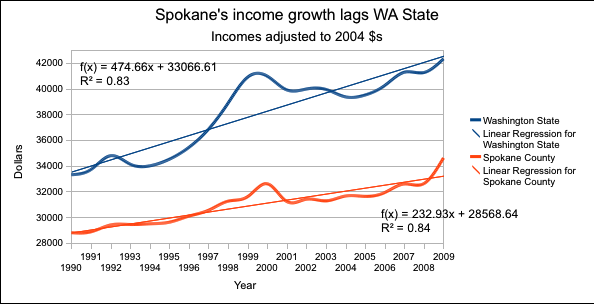 The PFD falsely portrayed the unusual years of 2007 and 2010 as the norm in Spokane. These spikes were due to the National Skating Championships. 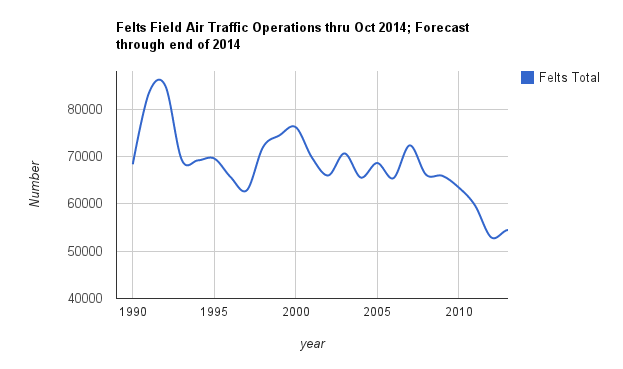 The economic impact studies falsely portrayed those years as the normal annual impact of the PFD. 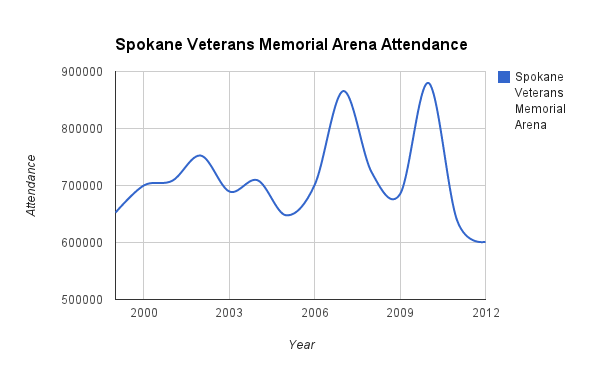 INB attendance is in a death spiral, with attendance now half of what it was in 2000. The total number of jobs in the City of Spokane has gone down. 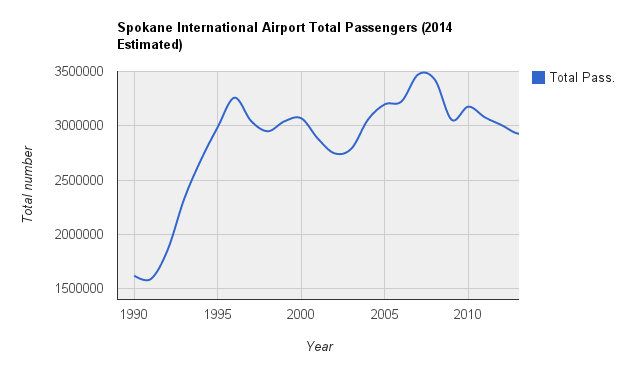 The total number of passengers (visitors) flying in and out of the Spokane airport has gone down. 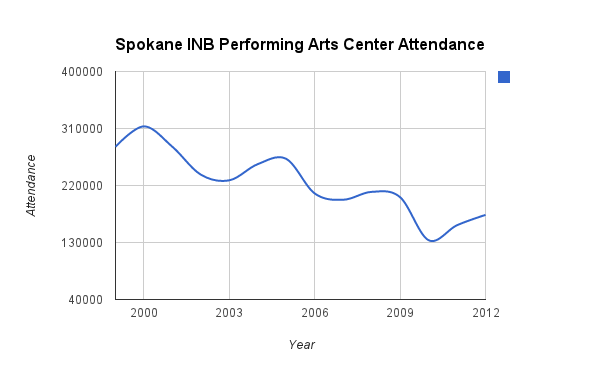 To arrest the decline in attendance, the management of the Spokane PFD should be held accountable although it is unclear that the PFD is accountable to anyone. Management must be replaced and a new Board of Directors selected. 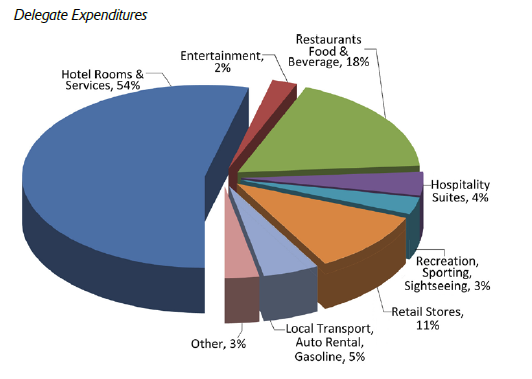 The local hotel, restaurant, and downtown business industries should be demanding new management as this poor performance hurts their businesses. Watch for continued dead silence from Spokane media. Other cities have a watch dog media that bites hard and holds on. 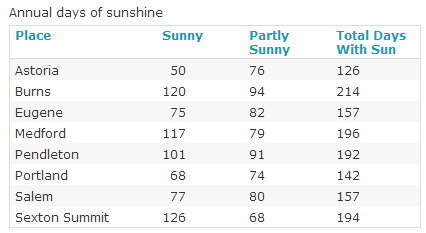 Spokane has a puppy dog media that wags its tail and occasionally pees on the carpet. Shameful performance. Step it up or get out of the way. The statewide unemployment rate increased slightly to 6.9%. 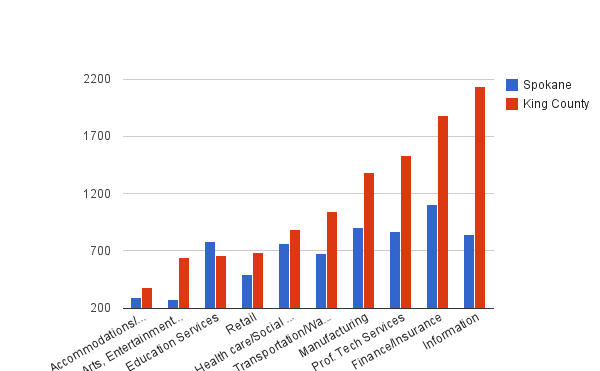 So far, Washington has recovered about eighty-three percent of the jobs lost during the recession. via July unemployment rate inclines slightly, while jobs continue to climb. 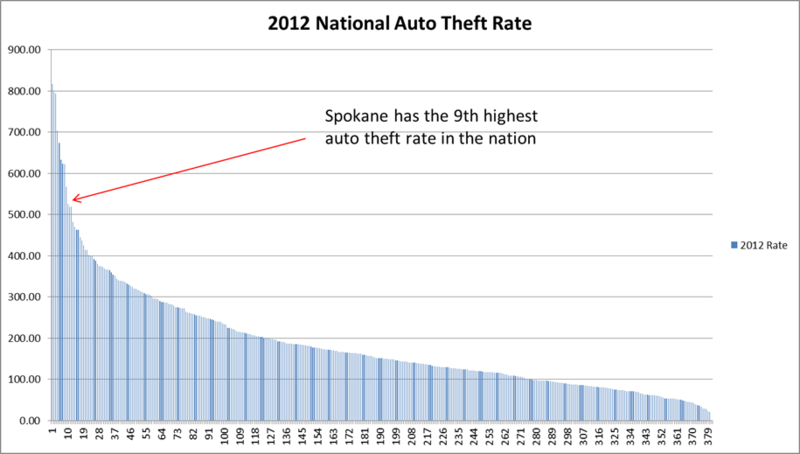 While the State recovered 83% of jobs lost, Spokane County has recovered just 36% of jobs lost. Lowest June employment during downturn was 206,100, highest June reading reached previously was 221,400. A total of 15,300 jobs were lost between the highest June and the lowest June employment levels. As of June 2013, there are 211,600 jobs for a gain of 5,500 since the lowest point. 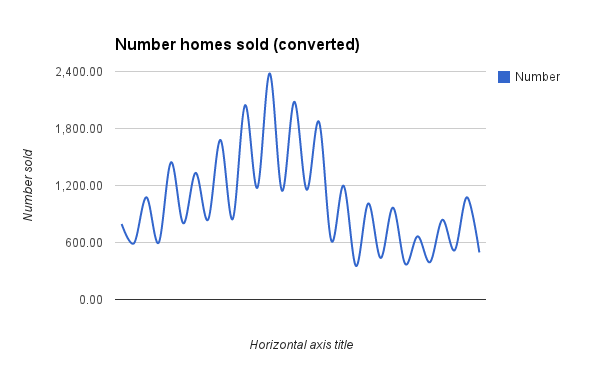 This represents a recovery of 36% (5,500 / 15,300) of the jobs lost. 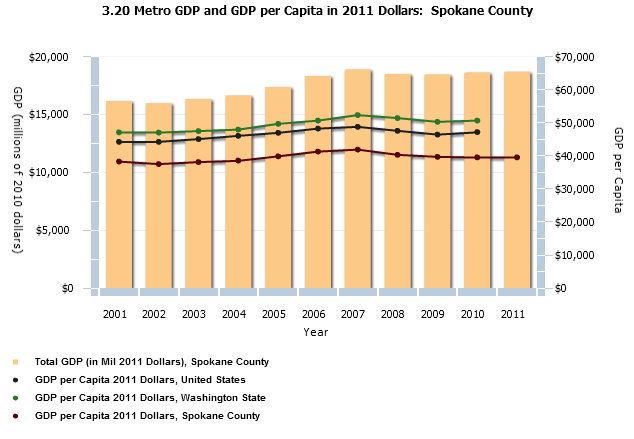 Spokane County job growth is just under half that of Washington state. No explanation has been offered as to why that is happening.